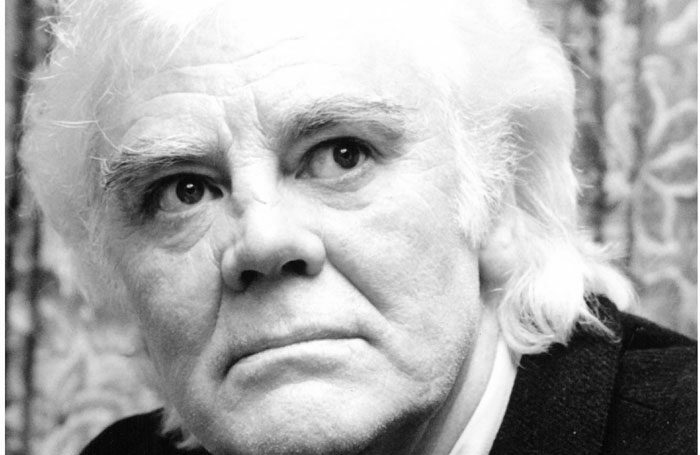 The actor and political activist Tony Booth, who found fame in Till Death Us Do Part, has died aged 85. His death on September 25 was confirmed in a statement by his family. A former market porter who began his career in theatre, Booth was best known as “Scouse git” Mike, the left-leaning son-in-law of Warren Mitchell’s dyed-in-the-wool Little Englander, Alf Garnett, in Johnny Speight’s controversial sitcom from 1966 to 1975. He was seen in the West End in Ira Levin’s No Time for Sergeants at Her Majesty’s Theatre in 1957 and his other television credits included Z Cars, Albion Market, Family Affairs and Emmerdale. His later theatre appearances included John Vanbrugh’s The Relapse (Birmingham Rep, 1990) and, for the Royal Exchange Theatre, Manchester, Trevor Suther’s Get Stalker (1992) and Jim Cartwright’s Prize Night (1999). A long-standing Equity council member, he was instrumental in mounting a campaign that led to the resignation of the union’s then president, Freddie Pyne, in 1996. His daughter, Cherie, is the wife of the former prime minister, Tony Blair. A full obituary will appear in a future edition of the Stage.